Krystle had just returned from Kuwait, on May 6, 2015, where she served with her Oregon National Guard unit, Engineering 234. She was an athletic, energetic soldier who could be found either in the gym or jogging around the base. During PT she would out-run all the other girls and half the guys! She worked hard at being fit, trim, and buff. 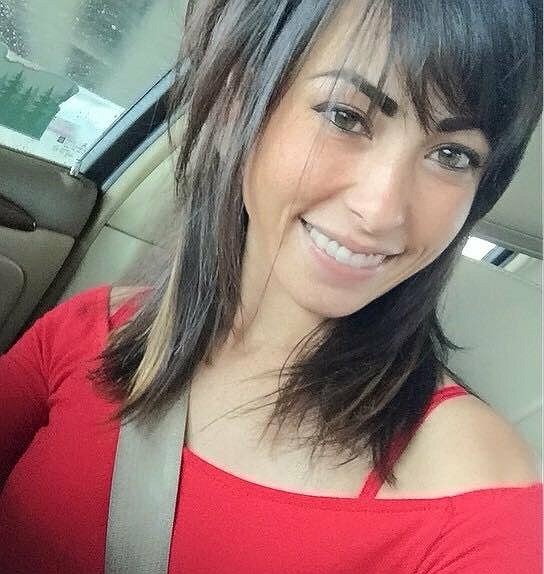 Eleven days after her return to Oregon on May 17, 2015, she was hit by a DUI driver which resulted in her sustaining a severe traumatic brain injury (TBI), a broken right arm and numerous other abrasions and bruises. She was rushed to the nearby Legacy Emanuel in Portland, Oregon, where she underwent surgery to remove a subdural hematoma (blood clot) from her brain and to have a bone flap on her skull removed. The doctors gave her a 5% chance of survival. She survived. However, we were told she would most likely remain in a vegetable state and probably not get off her ventilator. When she started breathing on her own, she had a tracheotomy and began to breathe on her own. She was not expected to be able to have her tracheal tube removed, but she soon proved everyone wrong and was fully weaned from it, showing us she is a true fighter. For several months now, she has been able to eat small amounts of pureed food orally but still needs to be tube fed. Our hope is that one day she will be able to be fed 100% orally. It will be a long journey. Krystle spent 3 months at Legacy Emanuel in Portland, Oregon, 6 months at Providence Benedictine in Mt. Angel, Oregon, then 4 months at the VA Palo Alto Polytrauma Center in California. On June 7, 2016, she was flown back to Oregon and now resides at the Oregon Veteran’s Home in Lebanon, Oregon. Krystle has been accepted to be a participant in a “transcranial magnetic stimulation” (TMS) research study at the Hines VA Hospital near Chicago, Illinois. The target of the treatment is the area of her brain that deals with communication. The 10-week research study is funded by the Department of Defense, however, Krystle’s air-ambulance transportation is not covered. The estimated cost for a “bed-to-bed” round-trip, including ambulances, medical crews, flight crews, air-ambulance, etc., is $60K. Funds received above that amount will be used to help cover costs related to obtaining the “functional electronic stimulation” devices from Bioness. We are excited that we have received a matching gift, so every dollar received will be automatically doubled! We have chosen to fundraise with Help Hope Live in part because Help Hope Live assures fiscal accountability of funds raised and tax deductibility to the full extent allowed by law for donors. Donors can be sure that funds donated will be used only to pay or reimburse medically-related expenses. To make a tax-deductible donation to this fundraising campaign, click on the Give button. For more information, please contact Help Hope Live at 800-642-8399. As soon as we have raised the necessary contributions, we will make arrangements for her flight to Hines VA Hospital. We look forward to seeing how God supplies Krystle’s needs. Thank you, Krystle’s Army for your encouragement and support! On Behalf of MILES for JAMES, we wish you and your entire family the best of luck. I'm sure Dr. Pape will take great care of you and we hope to meet you soon! Krystle is very courageous and is working hard to keep making progress. Randy and Janet have supported her journey and the Lord's hands are involved in the healing. It is an honor to support Krystle as she travels to Chicago. Many prayers are with this family. You're such a fighter, Krystle! Janet, Randy and family, we're praying for you all, and believe you're going to make it to your goal. May God's grace continue to be evident in your lives as He continues His work through you. You're all so precious! Janet and Randy, you both have been such a blessing to our family and we are thankful for the opportunity to help in a small way to be a blessing to you and Krystal. Please know you are in our prayers that God will continue to give you His presence, grace, and power as you show great faith and love. Randy and Janet have demonstrated such love and grace. May God grant continued healing and peace. Much love to your family. God's grace be with you Krystle! We love you with the love of Christ! We are praying for you and trust God along with you! We will keep praying, lots of love from us. This broke my heart when I heard it happened. Deployment is hard; you are seperated from the ones you love and they worry. To be released from it and get cut down in your hometown by something so avoidable is nothing more than tragic and happens to often. She deserves the chance for something better. She will over come with the prayers from Krystals Army and our Saviors love.. SHE IS A CHAMPION!! After following you and your family for two years, we feel honored to be able to participate in another way in addition to prayer. Thank you. Randy and Janet your faith encourages me often. Your love for Jesus and others is unstoppable. Thanks for showing us fellow travelers an example of dying to self and living for Christ. You are a blessing. Father, please work your miracles in Krystal's life!! I want to do anything that I can do for your family. Never never never give up. God bless you all on your journey. 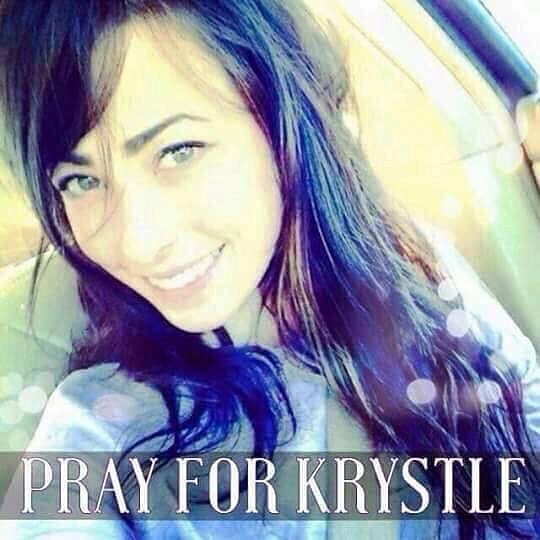 We will always stand strong and faithful in prayer for our precious sister Krystle. She will have the victory! We serve a loving God who promised to never leave us or forsake us and His word is TRUE! Praise The Lord ! It’s finally going to happen ! Praying still !